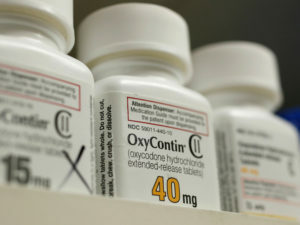 OKLAHOMA CITY — The maker of the powerful prescription painkiller OxyContin has reached a settlement with the state of Oklahoma over its role in the nation’s deadly opioid crisis, officials said Tuesday. The terms were not immediately disclosed. Oklahoma’s attorney general scheduled an afternoon news conference to announce details of the agreement with Purdue Pharma, which has made billions of dollars from OxyContin but has been hit with over 1,000 lawsuits filed by state and local governments trying to hold the company responsible for the scourge of addiction. The Oklahoma settlement — which could signal that Purdue is ready to strike deals elsewhere — was announced after the Oklahoma Supreme Court on Monday denied a request from drugmakers to postpone the start of the state’s trial.